Amazon Echo devices aren’t just for playing music any more. 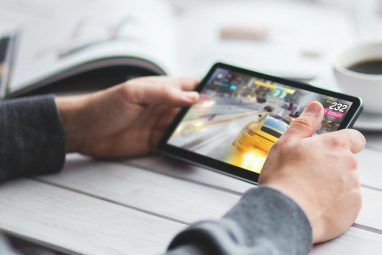 Along with being able to listen to podcasts on your Echo, there is another form of audio entertainment that’s gaining traction in the Echo’s catalog of skills: interactive stories. In this article we’re highlighting eight great interactive stories for your Amazon Echo. While playing through these interactive stories, Alexa will help guide you. And you can just use your voice to advance through each adventure. You’ll need to enable each story skill on your device before starting. There are a few ways to do this. 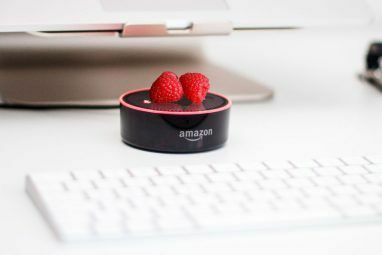 The easiest is just to say, “Alexa, play [skill name].” The stories can also be found and enabled on the companion Amazon Alexa app on iOS, on Android, or on the Amazon Skills Portal. Fans of the Dark Knight should definitely enjoy The Wayne Investigation. In this adventure, you’ll be on the case to solve the murder of Bruce Wayne’s parents — an iconic moment in comic-book history. Players become a detective investigating who shot Bruce and Martha Wayne. After starting at the Aragon Theater to examine the scene of the crime, the action can stream off into a number of different directions depending on what evidence you select to examine. If you hit a dead end, Alexa will even help guide you back in the right direction, sometimes even with a bit of snark. If you get completely lost, Alexa can also provide a hint. As a nice touch on the devices with a touchscreen — the Echo Show and Echo Spot Everything You Should Know About the Amazon Echo Spot Everything You Should Know About the Amazon Echo Spot Want a quick primer on everything you should know about the newest member of the Amazon Echo family? Here's what the Amazon Echo Spot can do for you! Read More — you can see different commands and other helpful information. The voice acting in the game is top-notch, and the story comes to a satisfying conclusion when you find the right path. A completely original story, The Magic Door will transport players into a vast and expansive magical land. To start the game, you’ll be given a simple choice by selecting one of three roads that go to the mountains, sea, or a spooky forest. No matter the path you choose on the family-friendly adventure you’ll collect different items, solve fun riddles, and even help magical creatures. The developers are continuing to add content, and there are currently 10 different storylines with more than 200 scenes. There are even storylines for both Halloween and Christmas. If you’re interested in keeping up with the game or finding hints on how to proceed, head over to the The Magic Door Facebook page. A different type of adventure, The Inspection Chamber is a unique sci-fi story that combines both comedy and drama in an interesting and unique fashion. 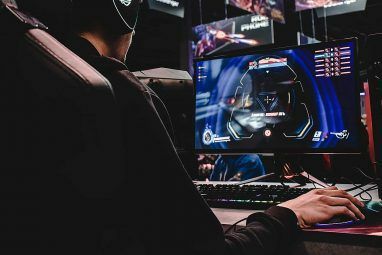 Taking inspiration from a number of different sources like Franz Kafka, Douglas Adams, and even the iconic puzzle game Portal, this story is a bit different from others on the list. You’re a being that can’t be classified by two scientists — Kay and Joseph — who just want to go home. A buggy computer called DAVEE, along with the scientists, will be asking you a number of different questions to help figure out your origin. Instead of guiding the action with your choices, there are a number of different questions that you’ll need to answer. The characters in the story will have different reactions depending on how you answer the questions and will play a part later in the story as different punchlines. How you answer will also determine how the interactive drama will end. You’ll want to go back and see how the different answers affect the story. A long time ago in a galaxy far, far away, even you can become a Jedi in The Jedi Code: An Interactive Story. The story has everything you’d expect in a Star Wars story, including lightsabers, stormtroopers, and much more. You will need to make the correct choice at many turns or risk having to start over. Here are two hints to take note of before starting — brush up on the Jedi Code, and don’t turn left. Do that, and you should complete your training in no time. Dunkirk ended 2017 as one of the year’s best films, snagging multiple Oscar nominations. Director and writer Christopher Nolan’s masterpiece examines the evacuation from the titular town in France during the early days of World War II After Dunkirk: 12 World War II Movies to Watch on Netflix After Dunkirk: 12 World War II Movies to Watch on Netflix If Dunkirk has sparked your interest in World War II movies, check out these 12 other flicks dealing with the conflict. They're all currently available on Netflix USA... Read More in 1940. And this Dunkirk adventure gives another look at the historic Battle of France. During the story, you’ll be playing Tommy — a British soldier whose singular goal is to get out of France alive. To start, you can choose if Tommy is an infantryman, tank commander, or RAF pilot. You can go back and play each storyline if you choose. At the end of your journey, Alexa will provide a special link to a graphic novel of the story, including the specific choices you made during the adventure. You’ll also hear the number of “honorable” decisions made during the experience. Live out your inner James Bond fantasy in Codename Cygnus. In this seven-chapter adventure, a consulate is secretly attacked and diplomats are being held hostage. A mysterious organization, TRIDENT, and its leader Neptune are up to no good. You’ll have to figure out what Neptune is planning and hopefully rescue the hostages safely. While the adventure definitely pays homage to the usual spy thriller, the voice acting and sound effects help keep your interest throughout. There’s no chance to rest when playing Yes Sire. The adventure starts in a good spot as you’re a lord of the realm during medieval times. But then the real fun begins. You’re presented with a number of different questions that require a Yes or No answer. The big catch is that each answer changes the amount of wealth and influence you possess. And if one of those gets too high or low, you’re in for some drastic consequences. For example, you might want to be benevolent to your subjects. But if your influence score goes too high, the king will begin to get jealous and have you executed, ending the game. Balancing both of these areas is a huge amount of fun, and you’ll definitely get a laugh trying to advance further with each question. Fans of the award-winning show Mr. Robot will enjoy Mr. Robot: Daily Five/Nine. The interactive adventure was written by writers from the drama with a storyline from creator Sam Esmail. The adventure, inspired by both Season 2 and Season 3 of the show, starts as a normal news broadcast. But as any fan of the show knows, things soon take a twist. Players will need to navigate a mind-bending narrative that’s not exactly simple. Anyone with an Echo Show or Echo Dot can also enjoy viewing a number of familiar visuals on their screens during the story. This isn’t for the faint of heart, as a may take more than a few tries to advance through the entire story. However, along the way you’ll run into some familiar characters. Hello friend. As you can see, there’s pretty much an interactive story on the Amazon Echo for everyone. Whether you’ve always wanted to be a Jedi master 10 DIY Star Wars Crafts and Projects to Release Your Inner Jedi 10 DIY Star Wars Crafts and Projects to Release Your Inner Jedi These are the projects you're looking for! From paper droids to wooden spaceships, here are some of the coolest DIY Star Wars crafts and projects around. Read More or a medieval lord, you can play out your fantasy with a little help from Alexa. What do you think of these interactive stories? What are some of your favorite interactive stories? Let us know in the comments below! 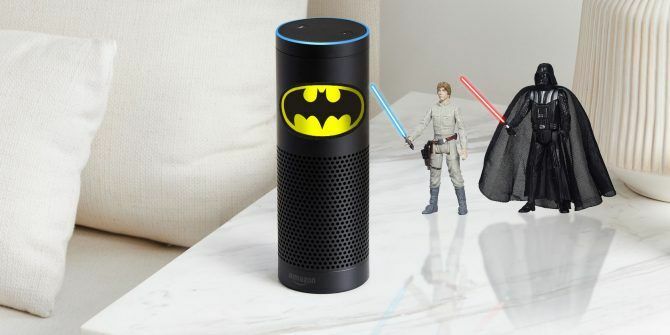 Explore more about: Alexa, Amazon Echo, Free Games, Star Wars.